There are a lot of things I wish I had known before setting out on my 8 day backpacking trip around Torres del Paine. Here I’ve summed up basic stuff I think every hiker should know in advance. Some of these points I found on other blogs, some I didn’t know until I got there. Hopefully they are useful to future Torres del Paine travelers. 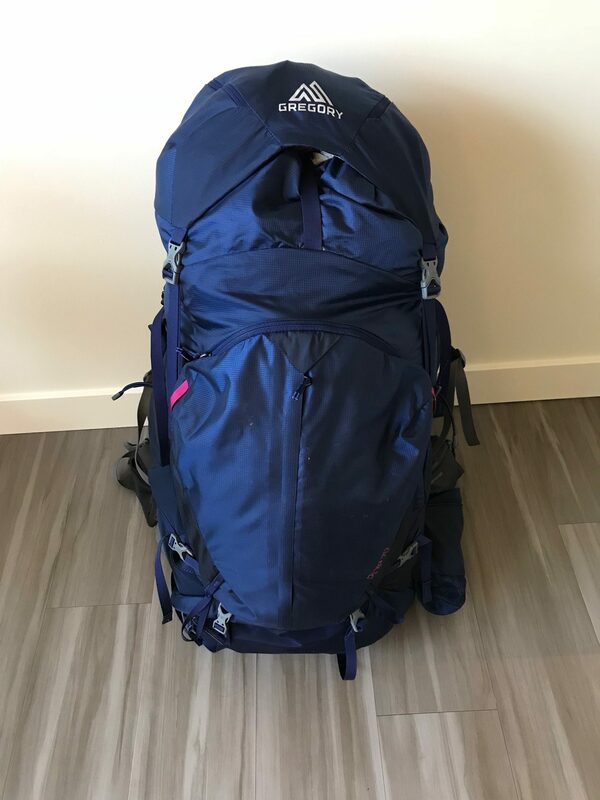 For more information you can see my detailed day-by-day account of my backpacking loop around Torres del Paine, and my packing tips post. Water – All water at camps in the park is potable. As is the water from rivers and streams. There is no need to bring a water filter, and in most camps you can just get water at the sinks. Extra clothes – Bring a change of clothes. You may get wet in the rain and will really want to have dry clothes. It’s also nice to have something a bit cleaner to put on if you shower at the camps in the evenings. Garbage bags – Put everything in your pack in garbage bags to keep dry. When there are high winds you can’t wear a rain cover on your pack and this will save you from soggy sleeping bags and wet tents. But still bring your rain cover. Most of the time it rained on my trip it wasn’t too windy to use the cover, and that saves you carrying the extra weight of a soggy pack. Toilet paper – Toilet paper is only really needed at Paso and Italiano camps. Though you should have some on hand in case you need a pit stop before you reach a toilet, or in case a camp doesn’t restock the toilet when you need it. Shoes – The hiking is often on very rocky surfaces, much harder on the feet than most trails I’ve done elsewhere. Get good boots and make sure they don’t cause blisters. I have never in my life gotten blisters hiking, and I trained regularly with my boots for 3 months beforehand but still I got a few blisters on this terrain. UV protection – The UV exposure in Patagonia is generally very high and can be quite dangerous. Bring sun protection. Not just sun block but also a long sleeve shirt you won’t mind hiking in. Day 1 food – Day 1 is easy so carry in a nice lunch, maybe empanadas from Puerto Natales or something you’ll really enjoy. Bring some fresh fruit, which you won’t get for the rest of the hike. Buying stuff – At most camps you can buy beer (4000 clp), soda (2000 clp) and some food items (mostly junk food). Bring cash for the O, on the W you can use a credit card. Calories needed – Consider that you will be burning a lot of calories hiking, and also burning lots of calories staying warm. Bring enough food, far more than you would normally eat. Bring cash – enough for the 21,000 entrance fee, 3,000 shuttle (each way), and any food or drinks you might want to buy at the camps. On the W most places take credit cards, but everywhere else you must pay in cash. Free time – You’ll have lots of time at many of the camps if you set out on your hikes in the morning. Bring some cards or a book for entertainment. The weather – Weather reports are totally unreliable and highly variable. Assume you’ll have some rain, cold, high winds, and maybe even snow, but also lots of sun. Distances and times – Maps and signs disagree, sometimes significantly, about distances and hiking time estimates. My reports are based on actual hiking times which include lots of stops to take pictures, a few snack breaks, and one longer lunch break each day. I’m a pretty fast hiker, but definitely not the fastest from the group doing the O during my trip. Hiking cohort – On day 1 you’ll meet a bunch of people who will be with you at most of your camps along the way. Make friends! It’s fun to see familiar faces along the route and have people to hang out with in the evenings. Camp reservations – Make reservations as far in advance as you can. There are three companies you have to go through for reservations depending on the camp: Vertice, Fantastico, and Conaf. They open up reservations at different times so we just kept checking back every few weeks until it was possible to book. Print out proof of all of your reservations for camp sites, you have to show these at some check points. If you show up at a camp without a reservation (for instance if you skip a rest day and mess up your reservation schedule) you can often find accommodations, but possibly not the ones you want. Instead of camping you might have to pay for an expensive room. And there’s no guarantee! How many days – Most people do the O loop in 7, 8 or 9 days. I did it in 8 which seemed just right to me, and lots of other folks I met along the way doing the same schedule. But there are definitely days when you could skip a camp and just make it a very long hiking day if you want to go faster. And you could also make some of the days shorter by staying in more camps. Some people introduce a rest day into their schedule. That can be really nice for foot/muscle recovery, but the only person I met who had scheduled this ended up skipping her rest day because she thought it was unnecessary and wanted to carry on hiking with the people she met on the trail.